There are many pet friendly hotels near Disneyworld, making it easy to bring your pet along with you. 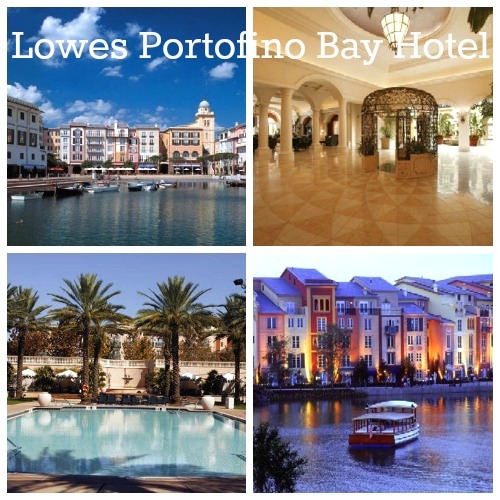 Enjoy a luxurious room at Loews Portofino Bay Hotel, listed on Vacation Pet Friendly. Here, pets are welcomed with cozy pet beds, treats and food and water bowls. This award-winning hotel also is within easy walking distance to Universal’s Islands of Adventure theme parks and Universal Studios. Guests enjoy picturesque vistas of the bay. The Double Tree by Hilton, also pet friendly, allows pets up to 25 pounds and is close to both Sea World and Disneyworld. Westgate Palace often has great deals if you book through the Vacation Pet Friendly website. Guests will enjoy wonderful views and comfortable accommodations. Each suite has a fully equipped kitchen and washer and dryer. There is an outdoor pool and children’s pool, plus a fitness center. This fine hotel is just a few minutes from Disneyworld. Although pets are not allowed in of Orlando’s theme parks, Disneyworld has kennels right outside the park that stay open until the parks close. For complete listings of pet friendly hotels near Disneyworld in Orlando, or pet friendly vacation homes, restaurants, parks, activities, events, and just about everything you need while traveling with pets, visit our Orlando Travel Guide. Much of the outdoor fun and activities are in downtown Orlando, about a 25 minute drive from the Disneyland area. If you don’t mind the drive, head on over to the Orlando Farmers Market nestled right in Lake Eola Park. Pets are allowed, and you can enjoy the farm-fresh seasonal produce and a drink in the beer and wine garden along with live music. At Lake Eola Park, there also are nature trails, making for some great solitude with your leashed pet. You also will find enjoyable hiking trails at the West Orange Trail and Little Econ Greenway. At Turkey Lake Park, there are hiking trails and beautiful butterfly gardens. Wekiwa Springs State Park also offers hiking with an added benefit of lake swimming. You will discover there are many pet friendly restaurants in Orlando, so there is no need to leave your furry friend at the hotel. Grab a bite to eat at Caddy Shanks with your pet on the outdoor patio. Casey’s on Central serves up some great sandwiches and burgers and allows well-behaved pets. If you are in the mood for some authentic Mexican cuisine, Colibri is a place where you may enjoy a tortilla with your four-legged pal. There also are plenty of more fine dining restaurats to eat with your pooch, where you can enjoy patio or sidewalk table seating. Such restaurants may include: Kres Chophouse or Morton’s The Steakhouse–both known for their delicious steaks; Taverna Opa, where conga lines form to lively music; or Seito Sushi for classic Japanese fare that locals rave about. With so many pet friendly hotels near Disneyland and pet friendly restaurants and activities to enjoy, Orlando is picture-perfect for pet owners who prefer to take their pets along with them for the fun. Pet friendly hotels near Disneyworld should be booked early so start your search!